Sam Raimi's Spider-Man 3, released in May of 2007, is one weird movie. It suffers from the curse of the "threequel", a film with potential that is overwhelmingly disappointing. In my previous editorial in this ongoing Spider-Man retrospective series, I talked about how Spider-Man 2 swings among some of the best sequels in cinema history. If Spider-Man 2 is the Superman II of the Spider-Man series, then Spider-Man 3 is the Superman III of the franchise - but with considerably weirder dance sequences. In the newest edition of our "Looking Back" series, let's take a look at why Spider-Man 3 begins the series of diminishing returns for Spider-Man movies as one of the most disappointing threequels in modern superhero film history. It's very hard for filmmakers to make a good third movie in a trilogy or film series. When you think of most modern film trilogies, it is undoubtedly common to consider the third one the worst. The case is especially strong with superhero movies. It doesn't matter if it is X-Men: The Last Stand or Blade: Trinity or Batman Forever, the third film all too often disappoints. It might be hard to figure out exactly why filmmakers so often stumble in the third act, especially since most third movies usually come next after two very strong installments. 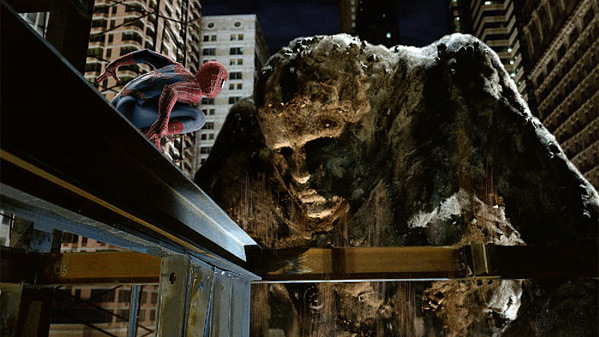 In the specific example of Spider-Man 3, the problem and explanation is a bit more clear: Sam Raimi was forced to make a movie he just didn't want to make. When Sam Raimi set out to make Spider-Man 3, he had a very clear idea. As he fleshed out the treatment with his brother Ivan Raimi, Sam wanted to explore the complex nature of being a costumed hero. "The most important thing Peter right now has to learn", Raimi said in an interview back in 2007, "is that this whole concept of him as him as the hero – he wears this red and blue outfit, with each criminal he brings to justice he's trying to pay down this debt of guilt he feels about the death of Uncle Ben. He considers himself a hero and a sinless person versus these villains that he nabs. We felt it would be a great thing for him to learn a little less black and white view of life and that he's not above these people." As Raimi began developing the story, he wanted to complete the character arcs for Peter Parker, Mary Jane Watson and Harry Osborn. He also wanted to introduce the Sandman, a character he found to be visually and emotionally compelling. Sandman's arc would overlap with Peter's arc, which would center around Peter learning forgiveness. In the comics, the Sandman is a petty criminal. In Raimi's updated version of the character, he was directly tied to the murder of Uncle Ben, thus challenging Peter's simplistic view of the event. In Raimi's original outline for the story, the main focus centered on Peter, Mary Jane, Harry and Sandman. At one point, he also wanted to introduce the Vulture, which he had envisioned Ben Kingsley for the role. It was during these early discussions of the film that the story started to radically change. While Raimi was overseeing the script written by Spider-Man 2 scribe Alvin Sargent, the film's producer Avi Arad (who held the rights to the movies at the time) was pushing for Venom to be included in the film's narrative (due to fan pressure). Raimi has always been very critical of Venom, citing the character's "lack of humanity" as a reason why he always disliked him. Arad argued Venom had a big fanbase among the Spider-Man faithful, constantly pushing for his inclusion in the story. Raimi eventually relented, including Eddie Brock, Jr. in the screenplay. Raimi's version was an amalgamation of different versions of Brock, making him more of a mirror for Peter by giving him a similar job and love interest. Arad also pushed for Raimi to include Gwen Stacy in the screenplay, which started to balloon the narrative of the story very quickly. At one point, Sargent literally contemplated splitting the screenplay into two, but cited that he couldn't create a "successful intermediate climax" to bridge the two movies. This is where I feel Spider-Man 3 started to fall apart at the webs. When Raimi initially started developing the film, he knew exactly the kind of story he wanted to tell. As a result of Arad's interference (and the studio siding more with Arad than Raimi), Raimi was shoehorned into telling a story he wasn't wholly comfortable with telling. The film itself was, at the time, criticized for being overstuffed with characters while lacking the appropriate narrative cohesion to interweave all of the different plot threads and characters. This is why Kevin Feige is such an integral part of the Marvel Cinematic Universe. He is the guiding hand of every film, a steady presence with comic book knowledge and a foot firmly in the film world. He is the perfect combination of comic book aficionado and film producer. Avi Arad, however, is none of those things. He's the atypical Hollywood producer, pushing Venom not because he truly liked the character, but because he knew it would excite the fans. He didn't trust his director, even though he proved himself two times before. He stuck his webs into Raimi's business, and the end result is a movie clearly at war with itself. If Arad had not insisted upon using Venom, Spider-Man 3 may have been a better movie. It certainly would have been a different movie. However, even if you disregard the Eddie Brock/Gwen Stacy subplot, the other existing storylines still lack a certain subtlety and nuance. In preparation to review these films, I revisited all of them. As the "Editor's Cut" of Spider-Man 3 was surprisingly released last month, I decided to revisit the film watching that version. I discovered the Editor's Cut isn't all that much different than the final film. The only changes include small omissions, like the scene where Peter tries to give Aunt May back her wedding ring. Christopher Young's score is re-inserted into the film as a whole. The Editor's Cut is actually shorter than the theatrical release, which is probably a wise decision taking the film into account as a whole. The biggest change in the film is the removal of the scene featuring James Franco's Harry Osborn and the family butler, Bernard. In the version that was released theatrically, Peter goes to Harry asking for help to save MJ, who has been captured by Sandman and Venom. Harry rejects Peter's request. In a later scene, Bernard tells Harry that he tended to his father's wounds the night he died, and there was "no question" he died by the blade of his own glider. The awkward scene is baffling and cringe-inducing in and of itself, and begs such questions as "How was Bernard able to tell he was gutted by his own glider?" and "Why was Bernard tending to his wounds and why didn't he just take him to the damn hospital?" Regardless, it's a bad scene. The Editor's Cut thankfully removes the scene. In this alternate version of the film, when Peter goes to Harry he still rejects him, but when he leaves he finds a photograph of himself with Peter and MJ and tears run down his cheeks. It's a small moment, but it is effective. It also makes Harry's eventual return and sacrifice hold so much more thematic significance because he never gets told the truth about what happened to his father, but he helps his friends anyway. When Harry dies, he dies a hero in the Editor's Cut. In the theatrical cut, he dies like someone who just literally got spoonfed something and he decided it was time to stop acting like a petulant child. I feel like that change and the effect it has, while small, is a microcosmic example of why Spider-Man 3 doesn't live up to its predecessors. As I discussed in my Spider-Man 2 editorial, that movie is chock full of emotional moments that are handled with nuanced ease. They resonate because they are authentic and minimalistic in execution. Any nuance or subtlety is, for the most part, lost in Spider-Man 3. Even Harry's arc, which involves him becoming the New Goblin for one battle with Peter before he temporarily loses his memory, is very poorly handled. The exact purpose of why he even bothers to lose his memory in the confines of the film's narrative is beyond me, especially when only a couple scenes later Willem Dafoe comes back from glider blade heaven to remind him of what Peter did. It feels like wasted material, where a more streamlined version of the story could've focused on Harry's constant pursuit of Peter while he has to fend off Eddie Brock on the professional side and Flint Marko on the superhero side. The only aspect of the film's narrative that works in my mind is the one actually belonging to Flint Marko, aka Sandman. Thomas Haden Church was a brilliant casting choice, and with his green and black striped shirt he embodies Sandman perfectly. He's more than just a petty criminal here, thanks to Raimi's interest in the character. Raimi continues his tradition of giving the Spidey series sympathetic villains. Marko is motivated by his quest to steal money to pay for his daughter's surgeries, so she can be healthy again. It's a perfectly solid motivation and arc, and Church is brilliant at the quieter moments and just as compelling in the more villainous ones. The "Birth of Sandman" scene is without question the most effective moment, echoing monster movies of yesteryear with a hauntingly beautiful score by Christopher Young. Unfortunately, even the film's most successful story thread is left unresolved. In one of the film's climactic scenes, Peter forgives Marko for the death of his uncle and he literally transforms into sand and whisks off into the wind. We have no idea if Marko acquired the appropriate funds for his daughter's healthcare, or if she's even going to live. Oh, and Marko is still a wanted felon, so good job there Spider-Man on letting him go. That doesn't even delve into the film's sillier moments either. In one respect, I can understand Raimi's decision to turn Peter Parker into a nerdier version of who he was. In the film, the Venom symbiote amplifies aggression in its hosts. Peter Parker is not exactly an aggressive guy to begin with, and his idea of aggression would probably equate to him wearing eye-liner and flicking back his bangs. In a way, it almost feels like Raimi is mocking the whole Venom storyline in Spider-Man 3. Peter Parker's infamous Saturday Night Fever strut is memorably hilarious, but also strangely out-of-character for a film series that had, to that point, taken itself fairly seriously. Even worse, Peter takes Gwen to a nightclub where Mary Jane is working. Peter starts playing the piano and does a dance number taken straight out of The Mask. It's an incredibly goofy scene, but it is somewhat indicative of Raimi's approach that the darkest the film gets (besides Peter thinking he killed Sandman) is Peter accidentally hitting Mary Jane. Peter isn't forced to snap Venom's neck, like Superman killing Zod in Man of Steel. He doesn't even let Sandman die at the end of the movie, like how Batman didn't save Ra's al Ghul in Batman Begins. The critical apex of the film is Peter accidentally pushing Mary Jane to the ground. While that's obviously an awful moment, it pales in comparison to how Raimi could've handled Peter's darker side. It feels like this is how Raimi perceives Peter at his "darkest", and the Venom symbiote concept, and it is a fairly silly one. Who knows if Spider-Man 3 would have been a better movie if Sam Raimi was able to tell the story he originally wanted to tell. If Harry's subplot is any indication, it possibly still would've been somewhat of a letdown. Raimi clearly felt exhausted by the time he got around to making Spider-Man 3, and it shows. For seven years, all Raimi did was make Spider-Man movies. Creative fatigue was going to hit sooner or later. Couple that with someone as persuasive and formidable as Avi Arad making demands and you have a recipe for a film that has some good moments, but is uneven and downright goofy at times. It's a shame, because like most third films Spider-Man 3 could've been something special. Instead, it was just another lackluster threequel in a long line of disappointing third chapters. Later this week, the "Looking Back" series examines Marc Webb's The Amazing Spider-Man movies. Unfortunately, it doesn't get better from here. So what do you think? 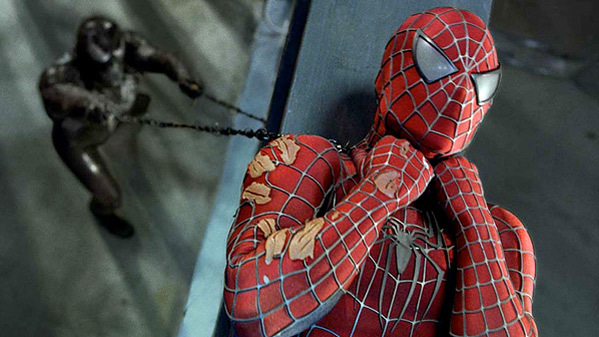 Is Sam Raimi's Spider-Man 3 genuinely bad, or just misunderstood?